Check our Facebook page for our Winners! 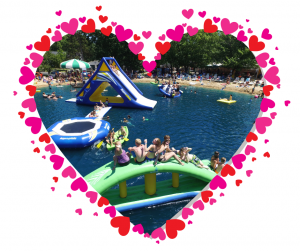 Valentine’s Day is right around the corner and we’re giving away a certificate that can be used for a FREE 4-night stay in a deluxe cabin at Smokey Hollow or Whistle Stop Campground (your choice). Included in the package is 4 days golf cart rental, 4 bundles of firewood, 4 bags of ice, and 4 wristbands. Our winners (yes, there will be more than one!!) will be randomly selected on Thursday, Feb. 14, from all the entries. Certificate can be used for any Sunday-Thursday stay. Holiday weekends excluded. Rental units are subject to availability. Good Luck! Send us an email telling us what you LOVE about camping. To increase your “odds,” LIKE our Facebook page. Winners will receive a certificate for a FREE 4-night stay in one of our Deluxe Cabins. The deluxe cabin is “glamping” to the max. 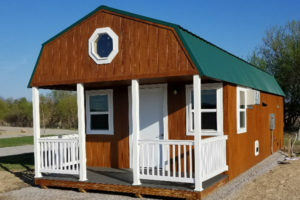 It sleeps 8-12 (4 adults max) and has TWO sleeping lofts for kids. Full bath, kitchen and a living-dining room combo. It’s also equipped with air/heat, fridge, microwave, coffee maker, toaster, DVD, picnic table, grill, fire ring, and deck.